WORX TURBINE 20VMax Cordless TURBINE Blower. 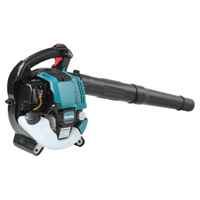 Powerful 20V Max Lithium lightweight cordless blower with TURBINE technology that delivers up to 340cfm of air velocity. The two-speed control function allows for light duty cleaning to full leaf removal on any type of surface. FEATURES: High capacity air volume with turbine fan technology (340 CFM). Two-speed design to tackle any job. Lightweight and ergonomic one-hand operation. Hyper-stream air nozzle for extra tough conditions. Simple tool free assembly. This item cannot be shipped to APO/FPO addresses. Please accept our apologies.